Yitran, available through Glyn High-Tech Distribution , releases the IT700, a highly integrated System-on-a-Chip (SoC) Powerline Communication (PLC) IC that incorporates Yitran’s extremely robust Physical Layer (PHY), high-performance Data Link Layer (DLL) and Network (Y-Net) protocol. IT700 also features a 8051 Micro with 256 KB Flash for protocol stack and application implementation as well as 24 general purpose I/Os. The IT700 IC complies with worldwide regulations (FCC part 15, ARIB and CENELEC bands) and is designed for HomePlug Command & Control. IT700 is an ideal solution for a variety of command and control PLC applications. The IT700 PLC modem core uses Yitran’s patented Differential Code Shift Keying (DCSK) advanced spread spectrum modulation technique for extremely robust communication with data rates up to 7.5Kbps. The device also utilizes several other mechanisms for enhanced communication robustness, such as a patented forward short-block soft-decoding error-correction algorithm and special synchronization algorithms. The Protocol Controller Architecture version includes Yitran’s Y-Net network protocol stack. 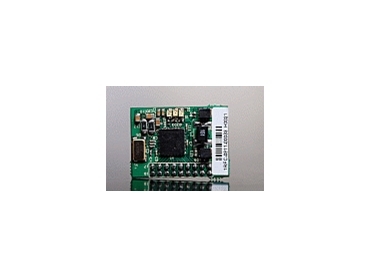 A UART interface and simple command language provide seamless connection to an external Host controller and simplify application development. In this version, no access to the microcontroller’s resources is provided. The Open Solution Architecture version allows utilization of the IT700 microcontroller’s peripheral functions such as timers, interrupts, communication interfaces, A/D, spare memory resources and general-purpose I/Os to implement the application code, thereby eliminating the requirement for an external host controller. An Application Programming Interface (API) will enable easy integration of the application code with Yitran’s code.